How is the financial success of a company determined? What do investors need to know when deciding whether to invest in a business? Professionals refer to accounting reports and consult with accountants for the information they need to make strategic business decisions. A degree in accounting will prepare you for a rewarding career in industry, public, governmental or non-profit accounting. 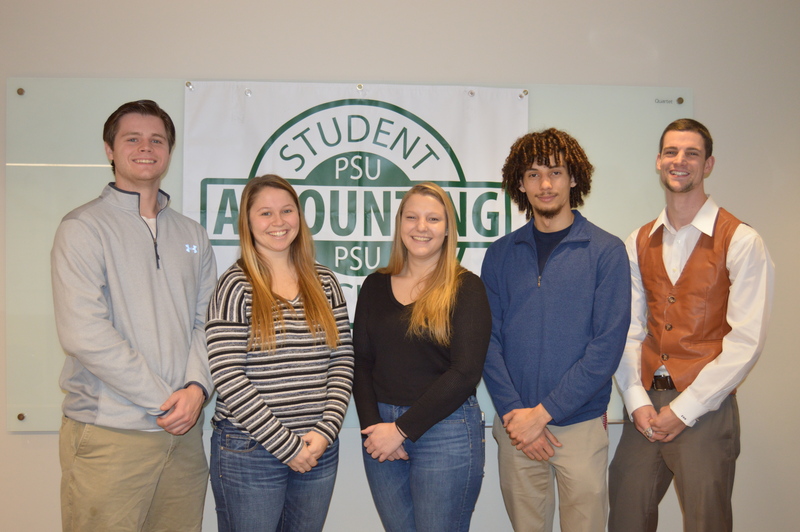 PSU’s accounting professors bring years of professional accounting experience into the classroom, and will guide you toward your career path, whether your goal is to become a CPA or work within a business. The BS in Accounting prepares graduates for many careers in industry, public, governmental or non-profit accounting. Students are encouraged to seek certification as a management accountant (CMA) or as a public accountant (CPA) upon graduation. Graduates of the Accounting program are well prepared for entry into the accounting profession and also have the background needed to advance into high-level management and finance positions.